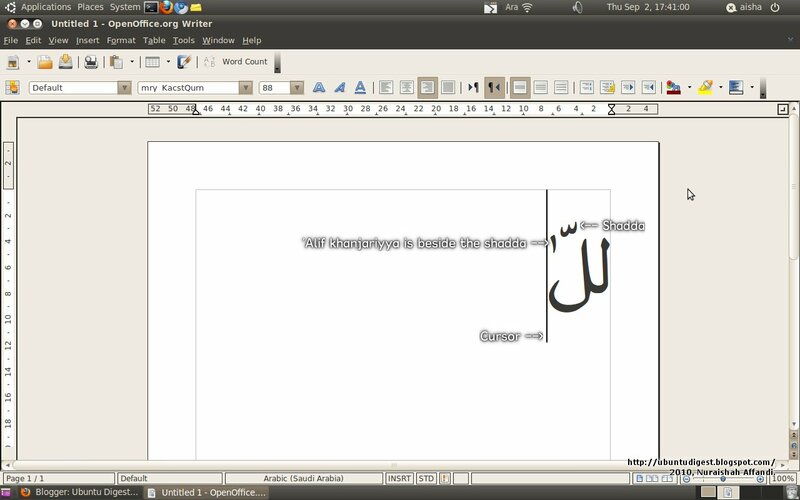 Pic 1 - The Arabic text above reads Allah. 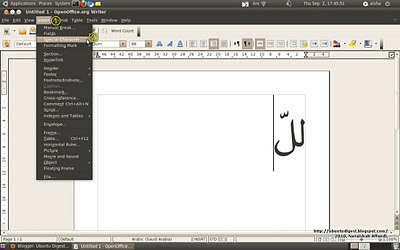 Arabic is written and read from right-to-left. 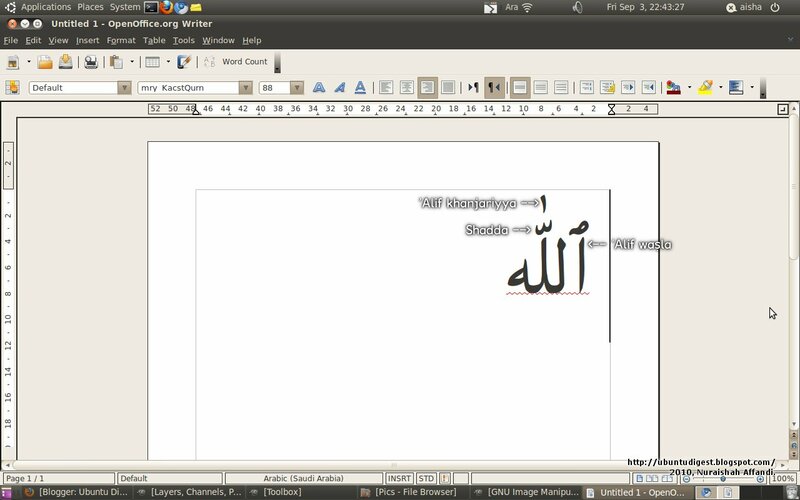 Pic 2 - This is the usual problem i face when typing Allah; the ʼalif khanjariyya is placed other than above the shadda. 1. Run OpenOffice.org Writer (OOW). 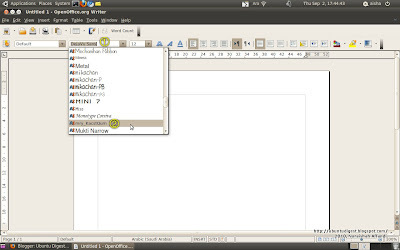 Applications > Office > OpenOffice.org Word Processor, as shown in Pic 3. 2. 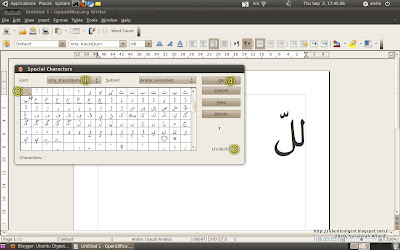 Change the text input to "Arabic qwerty/digits". 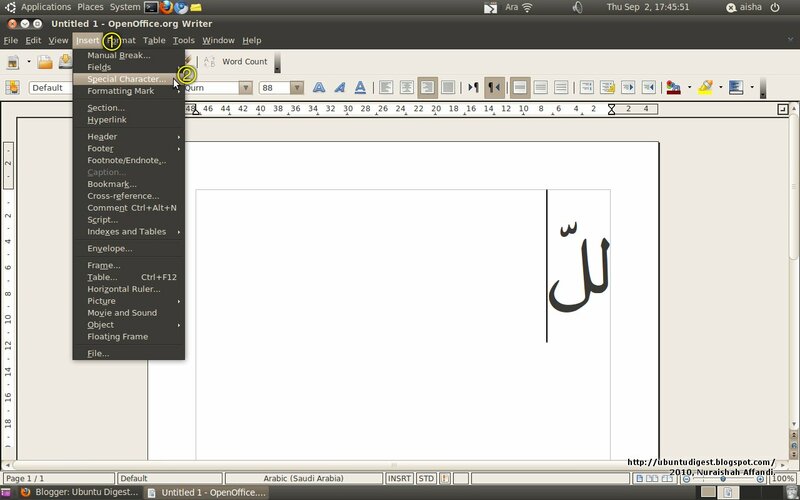 To do this, right-click the Keyboard Indicator on the Panel > Groups > Arabic qwerty/digits, as shown in Pic 4. The keyboard layout will change from USA (Pic 5) to Arabic qwerty/digits (Pic 6). Pic 5 and Pic 6 might be useful for Step 9. Pic 4 - Refer Step 2. 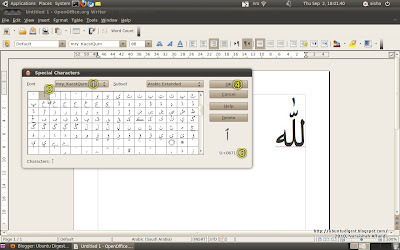 Changing the text input from USA to Arabic qwerty/digits. Pic 5 - Refer Step 2. 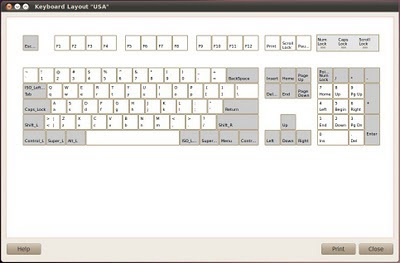 The USA keyboard layout. Pic 6 - Refer Step 2. The Arabic qwerty/digits keyboard layout. 3. 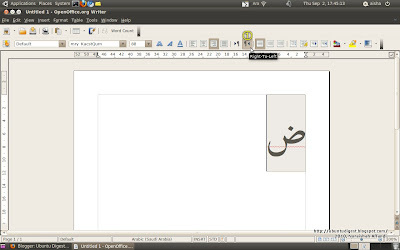 In OOW, type in any letter; say, press button Q and the letter ḍād is typed as shown in Pic 7. Pic 7 - Refer Step 3. 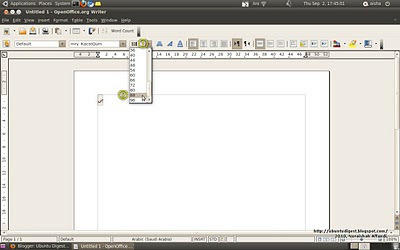 Typing in a temporary letter. 4. 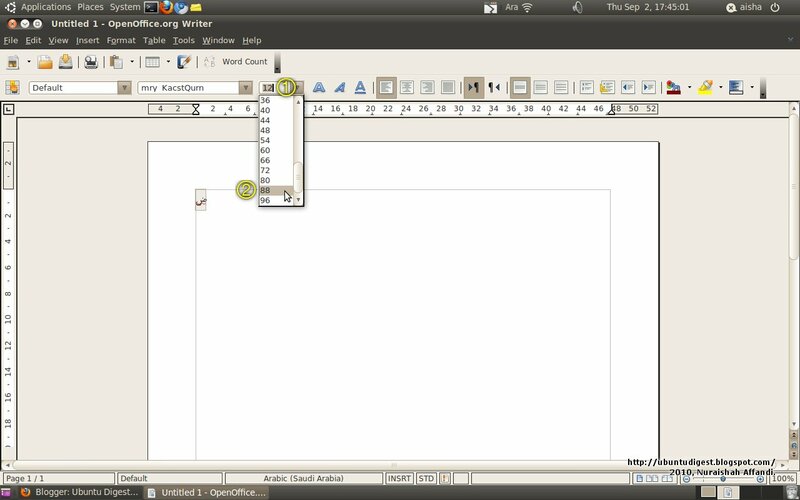 Select everything in document by going to Edit > Select All (see Pic 8), or, using the shortcut, Ctrl+A. Pic 8 - Refer Step 5. 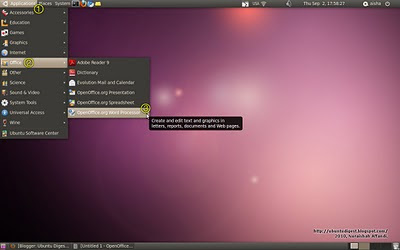 Performing Select All via menu. 5. Change the font from DejaVu Sans (or whatever your current font is) to mry_KacstQurn. Refer Pic 9. Pic 9 - Refer Step 5. Changing the font from DejaVu Sans to mry_KacstQurn. 6. Enlarge the font size, from 12 to, say, 88. See Pic 10. Pic 10 - Refer Step 6. Changing the font size from 12 to 88. 7. 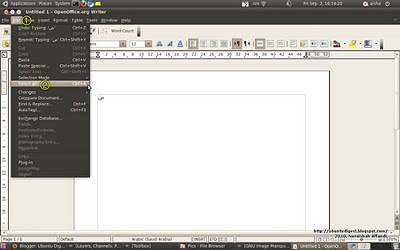 Change the text direction from Left-to-Right to Right-to-Left. See Pic 11. Pic 11 - Refer Step 7. 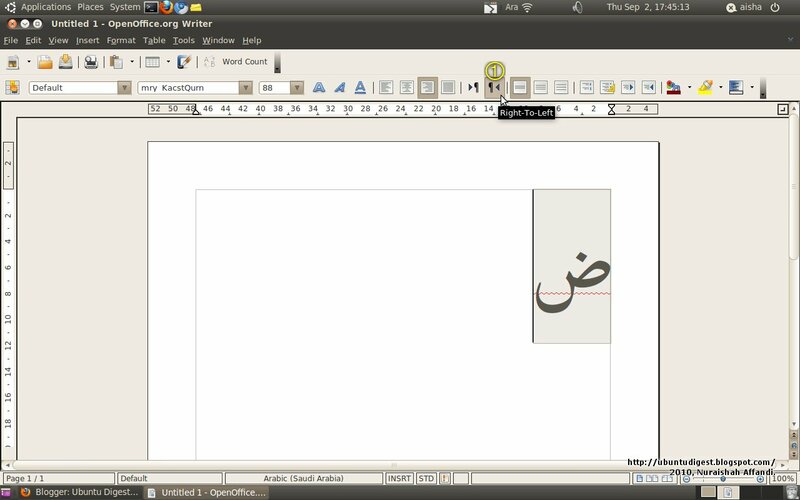 Changing the text direction from Left-to-Right to Right-to-Left. 8. Press the Delete button on your keyboard to delete the letter ḍād and everything selected (via Step 4). The current result is shown in Pic 12. Pic 12 - Refer Step 9. The current result: lām-lām-shadda. 10. Now to insert the ʼalif khanjariyya. 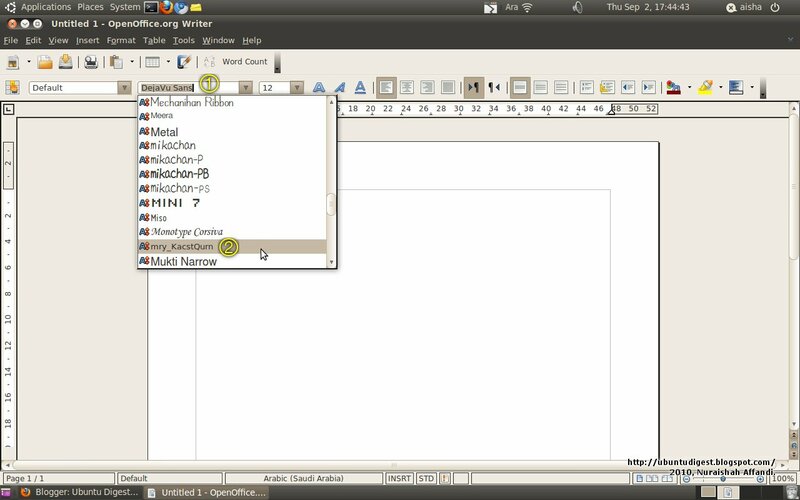 From the menu, click Insert > Special Character... , as shown in Pic 13. Pic 13 - Refer Step 10. 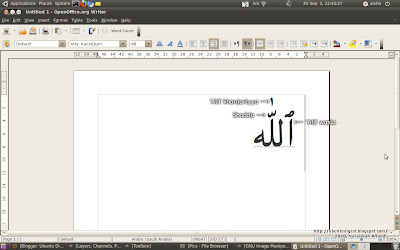 Inserting a special character. 11. 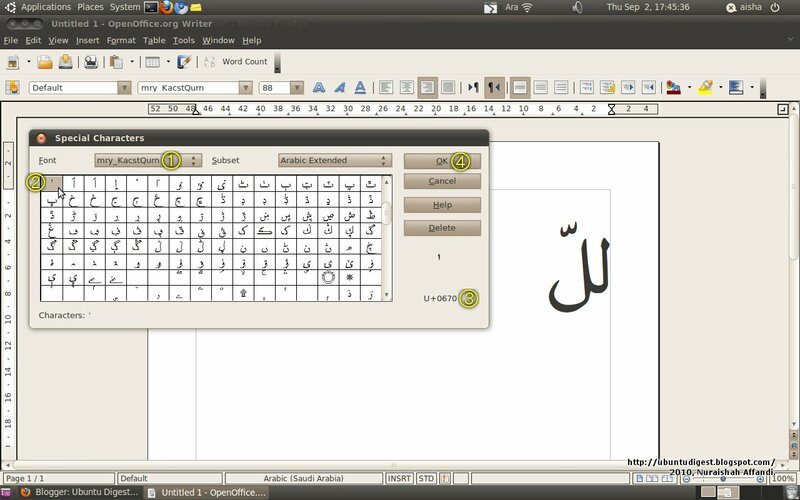 In the Special Characters pop-up window, find the ʼalif khanjariyya whose Unicode is U+0670. Then click OK. Refer Pic 14. Notice the placement of ʼalif khanjariyya in Pic 15 is beside the shadda. 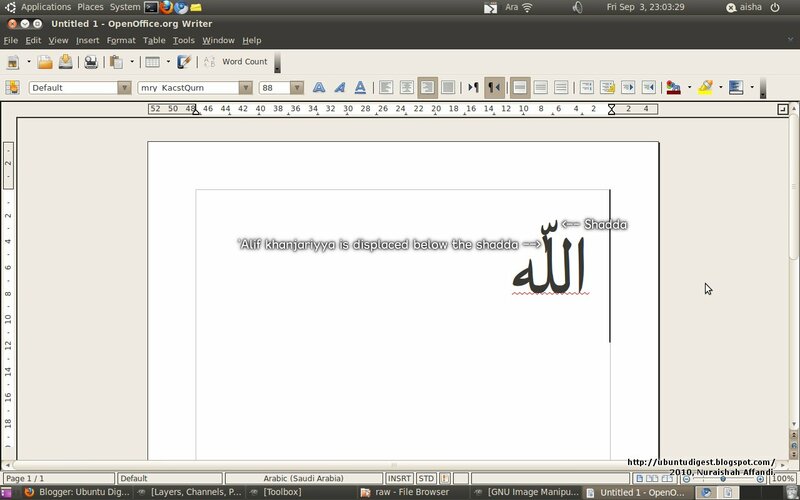 Further typing will produce the result in Pic 2. Pic 14 - Refer Step 13. Inserting the special character: ʼalif khanjariyya. Pic 15 - Refer Step 13. ʼAlif khanjariyya is placed beside the shadda. 12. 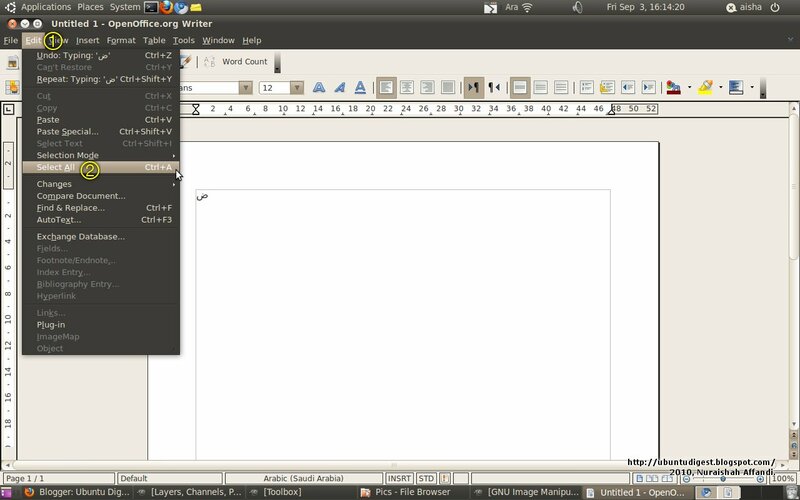 Then, press button Home to place cursor to the right most of the text. Remember, currently, the text direction is Right-to-Left. 13. Press the Delete button at least two times. 14. Then repeat Steps 9 to 11. 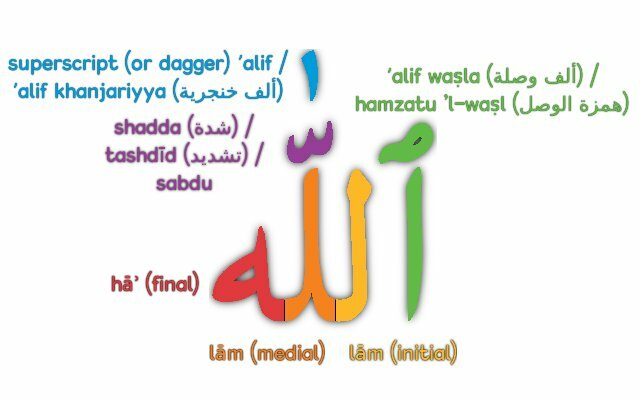 As seen in Pic 16, the small ʼalif is now above the shadda instead of beside the shadda. Pic 16 - Refer Step 14. Successful placement of ʼalif khanjariyya above the shadda. (i) At the rightmost, add ʼalif waṣla; the method is similar to Step 10. 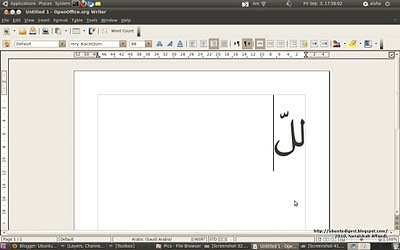 The Unicode for ʼalif waṣla is U+0671. Pic 17 - Refer Step 15. 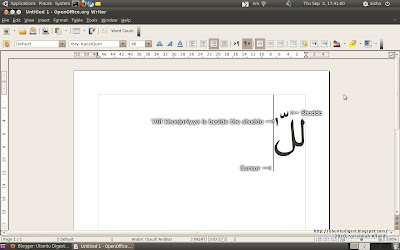 Adding ʼalif waṣla to rightmost of the text. 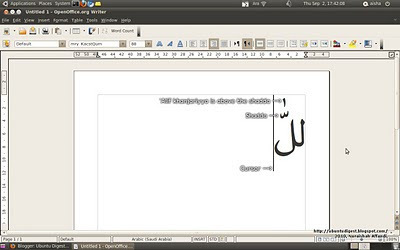 (ii) At the leftmost, add the letter hāʾ by pressing button I. Upon doing so, the process is completed. The final result is shown in Pic 18. Pic 18 - The completed typing. Haven't tried it on other fonts, so i don't know if the same method works. Anyone knows why this is so or know other methods?